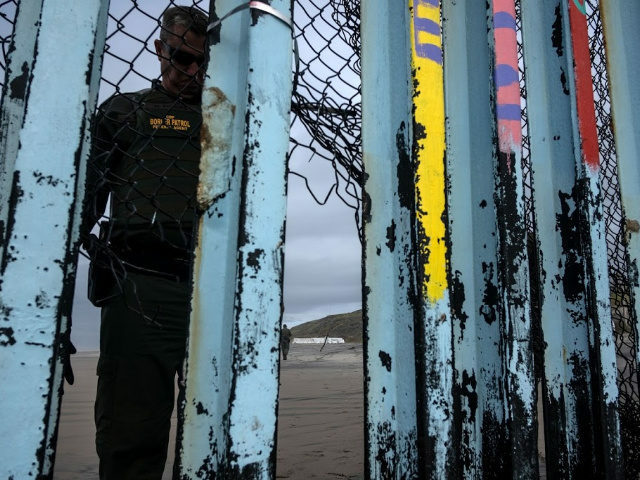 U.S. voters are evenly split on the merits of building President Donald Trump’s border wall — but they strongly support “building a fence in high crime areas along the U.S.-Mexico border,” according to a new poll. When the panel of 1,001 registered voters was asked if they “favor building a wall across the entire U.S. border,” the response was 49 percent support and 51 percent oppose. 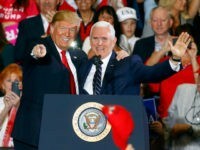 But when the panel was asked January 12-13 for their views on “building a fence in high-crime areas along the U.S.-Mexico border,” the positive response spiked to 69 percent yes versus 31 percent no. The poll was funded by The Hill and conducted by Harris. The anti-crime fence is favored by 90 percent of Republicans, 55 percent of Democrats, and 45 percent of “strong liberal” respondents. It is backed by 75 percent of “whites,” 56 percent of African-Americans, and 58 percent of Latinos, plus 80 percent of Midwesterners, 69 percent of East Coast voters, 73 percent of suburbanites, and 72 percent of people with college degrees. The “high-crime” modifier to the poll likely allowed Democrats to temporarily disregard partisan pressure to denounce any wall plan pushed by President Trump. Trump might be trying to work around the partisan pressure and has recently shifted his language to stress the border-region danger from cartels, drugs, and traffickers, rather than from illegal migrants as a whole. Business groups and Democrats tout the misleading, industry-funded “Nation of Immigrants” polls which pressure Americans to say they welcome migrants, including the roughly 670,000 DACA illegals. The Washington-imposed economic policy of economic growth via mass-immigration floods the market with foreign labor, and also spikes profits and Wall Street values by cutting salaries for manual and skilled labor offered by blue-collar and white-collar employees. It also drives up real estate prices, widens wealth-gaps, reduces high-tech investment, increases state and local tax burdens, hurts kids’ schools and college education, pushes Americans away from high-tech careers, and sidelines at least 5 million marginalized Americans and their families, including many who are now struggling with opioid addictions.